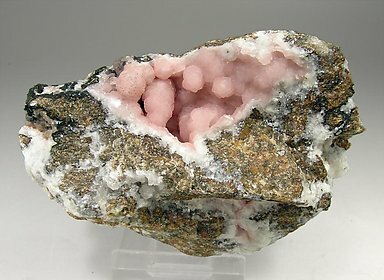 Novelties from the classic mine of Peyrebrune, well known its Fluorites. 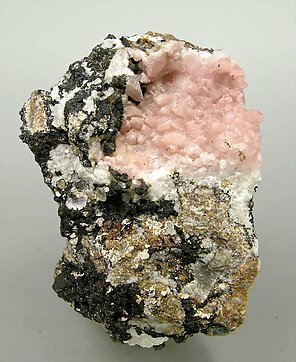 In November 2008, a small pocket found in the higher levels of the Rivet Quarry produced Rhodochrosite (analyzed), but more surprising is that the black material is another species, Kentrolite, a rare silicate of manganese and lead, never previously found on this site. 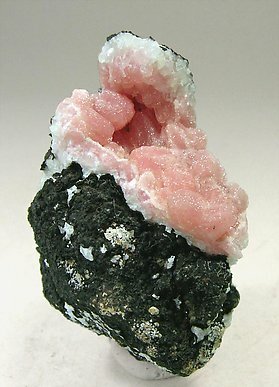 This sample is a good representation of this interesting find.